Inspiring Success Story of Urjit R Patel - The Successor to Raghuram Rajan! 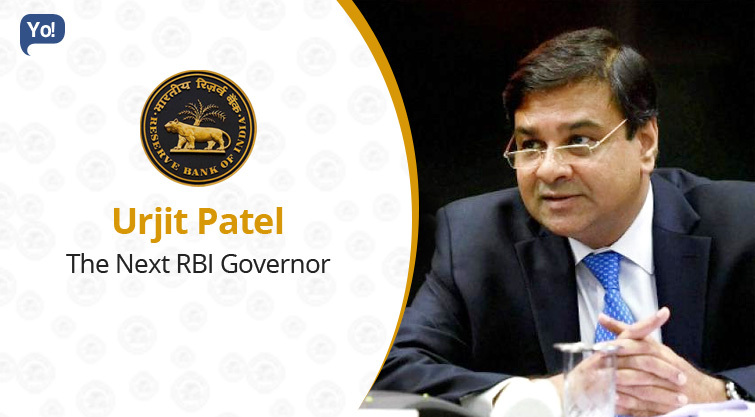 The government recently announced that economist and banker Urjit Patel will succeed Raghuram Rajan to become the 24th Governor of the Reserve Bank of India, from the from 4th of September 2016. As India’s top banker, he will be leading a team of about 17,000 people and will draw a salary of about Rs. 200,000 per month, besides allowances and perks. Urjit will primarily be responsible to keep the prices stable and ensure credit flow to companies and individuals. To avoid any knee jerk reaction, negative publicity or any adverse impact on currency, bonds and stock markets, the announcement of Patel’s appointment on a weekend. Famously known as the ‘inflation warrior’ of Raghuram, Urjit prefers to stay away from the media, and although, he lacks the Rockstar status as his predecessor Raghuram Rajan, he is known to be a safe hand but with policies that are similar to that of Raghuram! He was the very “Brahmastra” that Raghuram had used, to control inflation without hurting growth, manage rate cuts, and also to clean up books of the banks from bad loans. In fact, Raghuram had been rooting for Patel to succeed him as the Governor, probably to ensure that his legacy was being passed on in safe hands who would maintain a continuity that ensued in the monetary policy. Banking industry welcomed Urjit’s appointment. And his appointment is being largely seen as sending across a message to the investors that the government believes in continuity in the Rajan way of macro-economic thinking when it comes to monetary policy. This is was also a signal for the bond and capital markets, as well. According to a press note announcing the appointment, for the first time, a systematic approach and an objective mechanism had been put in place, and Dr Patel was picked in a new, two-step selection process. The Financial Sector Regulatory Appointments Search Committee (FSRASC) headed by the Cabinet Secretary P. K. Sinha undertook an extensive exercise to search and suggest a panel of names for the consideration of the ACC (Appointment Committee of Cabinet). ACC is the department that decides appointments of several top posts under the Government of India. The committee comprises of the Prime Minister Narendra Modi and Home Minister Rajnath Singh, as well. ACC received a list of five names from the FSRASC, and the same was discussed with the Union Finance Minister Arun Jaitley (who is not a member of the ACC) in Mumbai. And finally, Urjit Patel was chosen as the new-to-be Governor of the RBI. He defeated the former deputy governors Rakesh Mohan and Subir Gokarn, and Arundhati Bhattacharya (Chairman, State Bank of India) to get the position. Others in the race included: were Arvind Panagariya (Vice Chairman of the NITI Aayog), Arvind Subramanian (Chief Economic Advisor) and Shaktikanta Das (Economic Affairs Secretary). Who is Urjit R Patel? An Indian economist, consultant and banker; he manages the monetary policy, economic policy research, statistics and information management, deposit insurance, communication and Right to Information, in the current position. Overall, Dr Patel has an experience of more than 17 years that spans across the financial, energy and infrastructure sectors. A soft-spoken Gujarati who maintains a low profile, Urjit was a Kenyan citizen before he joined the RBI. His grandfather had migrated from Gujarat in the early 20th Century to Kenya during the British Raj. His father was also born in Kenya, and had established himself as a successful entrepreneur in Nairobi, running a business on spare parts. He too, was born in Kenya! However, Urjit moved to the US and the UK to pursue further education. After completing his Bachelor’s in Economics from the London School of Economics, Masters in Philosophy from the Oxford University in 1986, and Doctorate in Economics from the Yale University in 1990, Urjit had joined the IMF (International Monetary Fund). He worked there till 1995 on several desks including the USA, India, Bahamas and Myanmar desks at IMF. Interestingly, he joined IMF as a Kenyan citizen. Post that, he went on a deputation to the Reserve Bank of India, where he played the role of an advisor in the development of the debt market, banking sector reforms, pension fund reforms, targeting of real exchange rate, etc., and was then taken on board as a Consultant from 1998 to 2001, to the Government of India more specifically, the Ministry of Power, Ministry of Finance, and Department of Economic Affairs. He has also been a non-resident Senior Fellow at the Brookings Institution since 2009. High Level Expert Group on Civil & Defence Services Pension System. These turned out to become building blocks, which led him to become the Deputy Governor of RBI in 2013, for a period of three years. Later, he was also seen as a key lieutenant of incumbent governor Raghuram Rajan, as well. Throughout his term at RBI, he had been heard in the media and analyst conferences, and was often referred to as the only one among the seven speculated successors under the “hawk” category. Other than these, Urjit has also authored several technical publications, papers and comments in the areas of Indian macro-economics, public finance, infrastructure, financial intermediation, international trade and the economics of climate change, as well. Urjit’s father is no more, and he currently lives with his mother in Mumbai. He recently moved into a small house recently to give his mother better company and is also said to have declined an offer to head the newly formed BRICS Bank in Shanghai to be with his mother, as well. What has his contributions been as a Deputy Governor of RBI? The contributions made by Urjit, to the central bank for the past three years are limitless and cannot be measured. In his short span, he has become the key architect for the fundamental change in how monetary policy is framed in India. CPI: Adopting consumer price index (CPI) inflation as the new benchmark instead of wholesale price index (WPI), which means that the central bank will base its policies keeping in mind CPI. Inflation-targeting: Moving towards a flexible inflation-targeting regime with a target of 4% with an upper tolerance level of 6% and lower limit of 2%, for the next five years! This was done keeping in mind the vulnerability of the Indian economy to external shocks and the need to avoid a deflation bias in the conduct of monetary policy. MPC: Setting up of a Monetary Policy Committee that will be responsible for making policy decisions, and be held accountable in case of failure to do so. Out of all the many, many contributions made by the Deputy, one includes heading the RBI panel to draft the monetary policy report. In 2014, he had headed a committee that had recommended several changes for the RBI and its way of functioning. It was also this report that led to the signing of an agreement on inflation targeting between the government and the central bank in February 2015. The Patel committee report also formed the basis of the monetary policy committee, and became the basis of the ongoing reforms at the apex bank as well. Under the independent monetary policy committee (which is being set up) takes away a lot of powers of RBI and the governor. According to the committee, the government will set an inflation target to RBI and the governor, and will be made answerable to Parliament if he/she fails to contain the inflation within target. The changes he helped drive are considered to be among the most significant monetary policy reforms since India opened up its economy in 1991. What is being expected out of him? Patel is taking charge of the top-most department at the RBI, comes at a time when the Indian economy is breathing a little easy, i.e. three years after Raghuram Rajan’s term. The Indian rupee, which hit a record low of 68.86 in August 2013, is now stable at near 67 levels (even after several negative global events); inflation has been under control; the current account deficit has narrowed and growth is at 7.6%, and the foreign inflows into the capital markets have also been on the rise. Having said that – expectations have already begun to mount! To begin with – the first hurdle for him would be to meet the expectations and standards set by Raghuram, and then create a legacy of his own. He will have to fully be aware that, while tough economic decision making will be expected of him; he will need to balance these with delicate, politically correct moves when dealing with the government and the corporate world, who always seek a lower interest rate regime. Interest rate: After assuming office, the first task in front of the new RBI chief will be to bring the inflation under control and cut down the interest rates to ease liquidity into the system. Urjit Patel has his work cut out as the next RBI Governor, which includes keeping inflation under check without hurting growth. In fact, expectations are starting to mount for the RBI to cut rates at its next monetary policy meeting on October 4. Clean-up: In June, the RBI said bad loans in the system will likely reach 8.5% of total loans next year, from 7.6% in March. One of the major initiatives taken by Rajan; Urjit will have to push the Indian banking sector to clean up their balance sheets and reduce bad debt.This means successfully cleaning up of more than $100 billion of stressed assets on the books of Indian banks, by March 2017 deadline.This will be done by a key programme, the ongoing “Asset Quality Review” that was initiated by Rajan last year.Urjit will have to find the fine balance between cleaning the system so that banks can start lending again and maintaining the stability of the banking system. Public sector bank capitalisation: For now the capital is adequate, but as a growing economy, Indian banks would need more capital to meet credit demands in the near future. But with the rise of bad debts, this has become difficult. Bank consolidation: Urjit will also be overlooking the consolidation of banks. The government has already taken the first step by announcing that the associated banks of State Bank of India to be merged with the parent, and also wants to privatise IDBI Bank as a precursor to larger consolidation move in the Indian banking industry. Liquidity: In an attempt to ensure market liquidity to boost demand for such bonds, RBI is considering accepting corporate debt at its daily operations with banks. The implementation of this will be left to the new governor. New breed of banks: Urjit will also have to oversee the roll-out of small-finance and payment banks, most of which will be in operation by early 2017. These will be a whole new breed of players coming up in the banking sector, including with full- fledged banking licenses as well as in niche segments, which will require them to be prepared for new set of problems as well. Inflation: Achieve the 4% inflation target! Consumer prices rose to a 23-month high of 6.07% in July 2016.The idea is to bring inflation down to 5% by January 2017 and eventually keep it between 2% and 6%. But this is going to be a difficult task, given the rise in commodity pricing.High inflation hurts people’s buying power, while low levels can indicate poor demand and weak economic activity.Hence, such an approach has to become standard practice in India, which, in many matured economies, such as Britain already is. The central bank in these countries sets interest rates according to an inflation target set by the government. Monetary Policy Committee (MPC): Currently, the RBI’s Monetary Policy Department (MPD) assists the governor in formulating the monetary policy. A brainchild of Raghuram, MPC is aimed at providing greater transparency to monetary policy decision making, which also takes away several powers [such as taking interest rate decisions] from the RBI governor.Urjit is involved in finalising members for the MPC, and will also be the first governor to make his policy stance under the new framework of the Monetary Policy Committee. The government has yet to name the external members to the panel that will give an indication of its policy bias on rates.The committee will have three members, each nominated by the government and the central bank. Foreign Currency Non-Resident:The new governor will also have to address the FCNR outflows on the Indian Banking system which is at the nascent stage.